Melanoma is the most dangerous form of skin cancer, but if it’s found and treated early, it is nearly always curable. 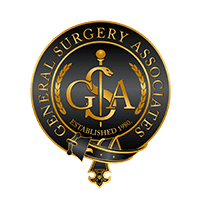 If you have been diagnosed with melanoma or have reason to suspect you may have it, book an appointment online or by phone with one of the experts at General Surgery Associates in Las Vegas, Nevada, to explore your treatment options. Melanoma is the most aggressive type of skin cancer and is most commonly caused by sun overexposure. Not only does it affect your skin, it can also invade the surrounding tissues and spread to other parts of your body where it becomes much more difficult to treat. If caught and treated early, before it spreads to other organs, melanoma is almost always curable. Anyone can get melanoma. Although having fair skin is a risk factor, people with dark skin can also develop it. If you have a change in the pigment of your skin, or if you have new moles that form near existing moles — called satellite moles — you should see your doctor for an exam. The first step in nearly all melanoma treatment plans is removal of the melanoma. Most of the time, melanoma surgery can be done as an outpatient procedure, meaning you can go home the same day, and in early stage cancers, it usually completely cures the disease. 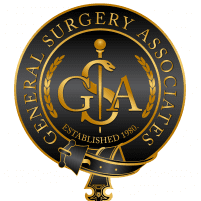 Your surgeon may recommend one of several procedures, including a wide excision where your surgeon removes the tumor along with some healthy skin around it. Mohs surgery is another option. With Mohs surgery, your surgeon removes the tumor in thin layers, examining each layer. When no more cancer cells are detected, the surgeon stops removing layers. In rarer cases, amputation of a finger or toe may be the most appropriate treatment to stop melanoma. If the cancer is more advanced, your surgeon may recommend removing the lymph nodes near the site of the primary tumor. If you have melanoma, call or book an appointment online to find the best treatment for you.